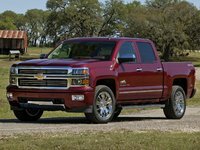 CarGurus has 35,776 nationwide Silverado 2500HD listings starting at $2,250. 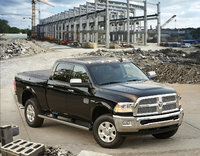 Need a big pickup for those oversized towing and hauling jobs? Take a look at Chevrolet’s 2014 Silverado 2500HD full-size heavy-duty truck lineup. This hefty and handsome pickup, though not quite as potent as Ford’s F-250 or Ram’s 2500 offerings, still manages to present a more-than-competent workhorse that again features 3 trim levels, the base Work Truck (WT), the midlevel LT and the top-shelf LTZ. One notable change for this year’s Silverado 2500HD edition is the deletion of the Extended Cab versions, leaving the 3-passenger, 2-door Regular Cab and the 6-seat, 4-door Crew Cab editions, though the LTZ Crew Cab variant again dares to be different in flaunting standard front bucket seats for 5-passenger seating. Meanwhile an 8.2-foot long bed remains the only bed length delivered with all Regular Cab trims, while Crew Cab trims can be purchased with either the long bed or the 6.5-foot standard bed. Of course, all Silverado 2500HD pickups come in a standard rear-wheel drive (RWD) configuration, but all are additionally eligible for part-time, on-demand 4-wheel drive that features auto-locking hubs, electronic or manual hi-lo gear selection and an available heavy-duty auto-locking rear differential. 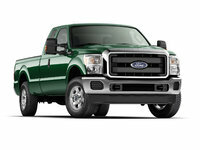 At the heart of this truck’s get-‘er-done legend is the standard 6.0-liter Flex Fuel V8 engine. This gasoline-fired powerplant mates with the standard heavy-duty 6-speed automatic transmission for 360 hp and 380 lb-ft of torque, all of which is capable of towing up to 13,000 pounds of trailer with the available straight hitch and wiring package (standard on LTZ versions). The available fifth-wheel lash-up, by the way, allows this V8-packing three-quarter-ton pickup to haul some 14,700 pounds. Additionally, this competent engine can be tricked out to burn compressed natural gas (CNG) or liquid natural gas (LNG) for a cleaner work environment, but performance numbers drop to 301 hp and 333 lb-ft of torque. For some added trailer-towing panache, an optional 6.6-liter turbodiesel V8 engine combines with the standard Allison 1000 heavy-duty 6-speed automatic transmission for 397 hp and 765 lb-ft of torque. Towing numbers with this blown diesel remain at 13,000 pounds with the conventional hitch, but fifth-wheel capability jumps to 17,800 ponds. Mileage estimates, meantime, are again unavailable, leaving one to draw his or her own budgetary conclusions. Features-wise, look for the Spartan WT trim level to flaunt 17-inch steel wheels, vinyl upholstery, cruise control, tilt-wheel steering, air conditioning and an AM/FM stereo with 4 speakers. WT Crew Cab variations, needless to say, additionally boast split-folding rear seats and toss in 2 extra speakers. The midlevel LT, meantime, adds 17-inch alloy wheels, premium cloth upholstery, leather and simulated alloy cabin accents and steering wheel, and full power accessories, including heated power-adjustable outside mirrors. OnStar Directions and Connections subscription service is also standard aboard this upscale trim level, as is a single-CD player, satellite radio and auxiliary MP3 input. Stepping up to the top-shelf LTZ, look for such extra standard bling as 18-inch polished alloy wheels, a trailer hitch and wiring, leather upholstery, heated power-adjustable front seats and memory for driver's settings. Dual-zone climate control again comes standard on this princely pickup, as do reverse-tilt mirrors an auto-dimming rear-view mirror, Bluetooth-interfaced OnStar services, simulated wood accents and 7 Bose premium speakers. Of course, options for lower Silverado 2500HD editions include a number of items that come standard in higher trim levels, while stuff like bed-mounted cargo boxes, an integrated trailer brake controller, a fuel-efficient 3.73 rear axle ratio, an EZ-lift tailgate and a spray-in bedliner are available to all versions. Of course, the touted Z71 Off-Road Package is also available lineup-wide and sports skid plates and beefed-up suspension components. LT and LTZ trim levels, meantime, can be delivered with available upgraded and up-sized wheels, power-adjustable pedals, a heated steering wheel, rear parking sensors, rear-view camera, remote engine start and a universal remote garage door opener. Finally, the already feature-rich LTZ can also be fitted with an available navigation suite, power sunroof and/or rear-seat DVD entertainment. Noteworthy safety equipment that’s standard across the 2014 Silverado 2500HD lineup includes 4-wheel antilock brakes (ABS), as well as traction and stability control. Mandated front airbags are of course standard, but front side-mounted airbags and front (and rear) head airbags are optional for each trim level. Daytime running lights, meantime, remain standard for all trim levels, with LT and LTZ levels flaunting standard OnStar emergency assistance services, a post-collision safety system and a remote antitheft alarm. Again, the LTZ also adds in standard front fog/driving lights and turn-signal-integrated mirrors. What's your take on the 2014 Chevrolet Silverado 2500HD? 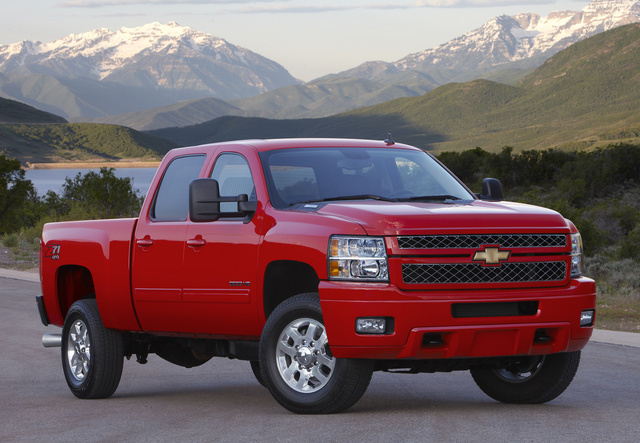 Users ranked 2014 Chevrolet Silverado 2500HD against other cars which they drove/owned. Each ranking was based on 9 categories. Here is the summary of top rankings. Have you driven a 2014 Chevrolet Silverado 2500HD? 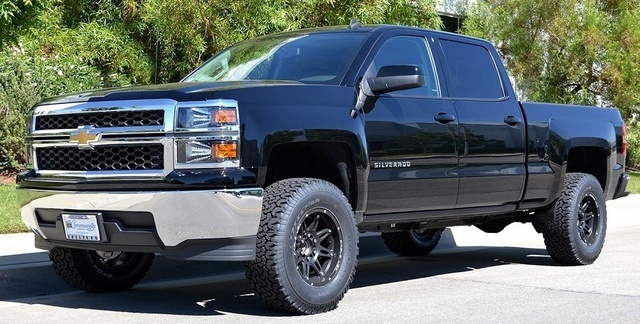 I have a 2014 Crew cab Silverado Duramax and I'm looking to purchase a fifth wheel with UVW 12819 and GVWR 15500. I believe my towing capacity is 13500. Will it be safe to tow this fifth wheel. Safe to tow running E85 fuel in a flex fuel 2500?